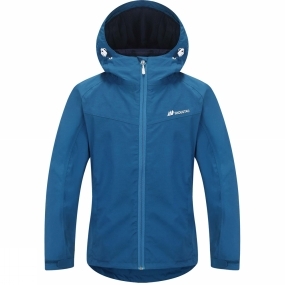 Well-ventilated outdoor jacket made from Skogstad's superb technical 2-layer material. A good degree of stretch for comfort and to support high-level activity such as hiking or sprinting for the school bus. 8000mm waterproof and 5000g/m2 breathable. Tailored by Nature for their every day.